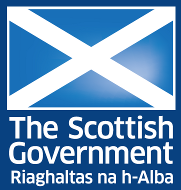 3.1 Copyright (c) 2014 Scottish Community Re: Investment Trust (SCRT). 9.2 You grantAn unconditional or conditional gift or donation of money with no expectation of repayment. to us a worldwide, irrevocable, non-exclusive, royalty-free licence to use, reproduce, store, adapt, publish, translate and distribute your content in any existing or future media / reproduce, store and publish your content on and in relation to this website and any successor website / reproduce, store and, with your specific consent, publish your content on and in relation to this website. 9.3 You grantAn unconditional or conditional gift or donation of money with no expectation of repayment. to us the right to sub-license the rights licensed under Section 9.2. 9.4 You grantAn unconditional or conditional gift or donation of money with no expectation of repayment. to us the right to bring an action for infringement of the rights licensed under Section 9.2. 12.5 We will not be liable to you in respect of any business losses, including (without limitation) loss of or damage to profits, incomeAn organisation's financial income from sales, donations, contracts and/or grants, revenue, use, production, anticipated savings, business, contracts, commercial opportunities or goodwill. 12.8 You accept that we have an interest in limiting the personal liabilityIn relation to an organisation's accounts, a financial obligation or debt to another party entered on a balance sheet of our officers and employees and, having regard to that interest, you acknowledge that we are a limited liabilityIn relation to an organisation's accounts, a financial obligation or debt to another party entered on a balance sheet entity; you agree that you will not bring any claim personally against our officers or employees in respect of any losses you suffer in connection with the website or these terms and conditions (this will not, of course, limit or exclude the liabilityIn relation to an organisation's accounts, a financial obligation or debt to another party entered on a balance sheet of the limited liabilityIn relation to an organisation's accounts, a financial obligation or debt to another party entered on a balance sheet entity itself for the acts and omissions of our officers and employees). 20.1 We are a registered as a Scottish Charitable Incorporated Organisation; you can find the online version of the register at www.oscr.org.uk/public/search-scottish-charity-register, and our registration number is SC045093. 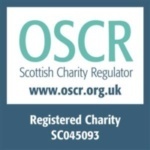 20.2 We are subject to The Charities and Trustee Investment (Scotland) Act 2005, which is supervised by the Office of Scottish Charity Regulator. 21.1 This website is owned and operated by the Scottish Community Re-Investment Trust. 21.2 We are registered in Scotland under registration number SC045093, and our registered office is at 21 Walker Street, Edinburgh EH3 7HX. 21.3 Our principalA sum of money lent or invested, on which interest is paid or earned (or the balance of a loan, net of interest and amounts repaid). place of business is at 21 Walker Street, Edinburgh EH3 7HX. 21.4 You can contact us by writing to the business address given above, by using our website contact form, by email to admin@scrt.scot or by telephone on [telephone number].